About a month or so ago I was checking out the polish aisle in WalMart (which I usually try to avoid since I have no money, haha), and I was a little surprised to see stamping sets! Since they were fairly cheap and I have no will power, of course I picked them up. Here is a review of the overall quality of the contents of these sets. 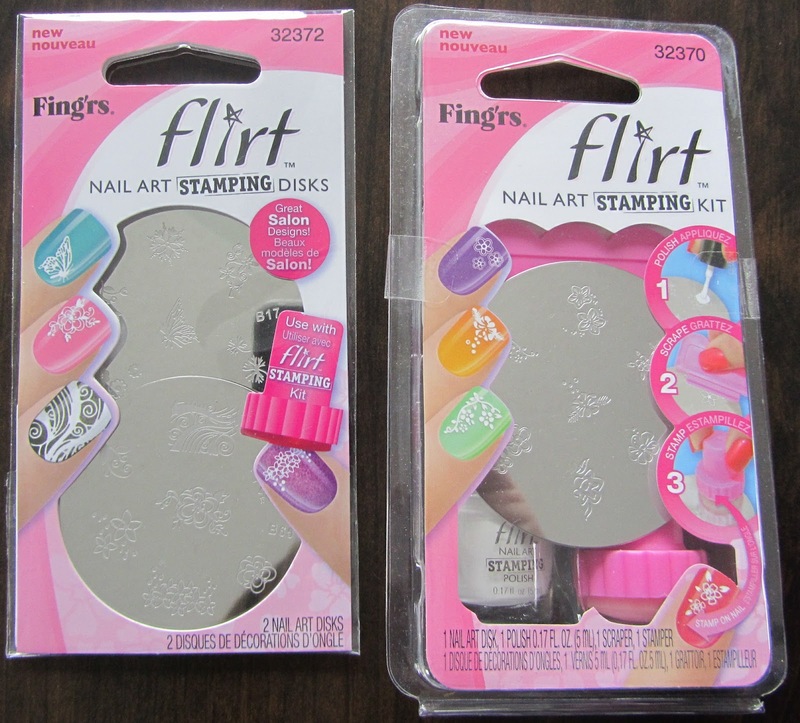 These sets are produced by Fingrs Flirt, and so far I have only seen them at WalMart but I am sure they could probably be found elsewhere as well (their site claims CVS and ULTA among others). I can't remember exact pricing now, but I believe the starter set with the stamper/scraper/polish/one plate was about $7-8, and the set with two plates was about $4. These are the three plates I got. I think they may be the only plates produced right now, as they are also the only three I can find on their website. One is available with the starter kit and the other two in a separate pack. Mostly they consist of individual images, although there are a couple of images that could be considered "full nail" images. The full nail images are smaller than full nail images on other plates such as Konad or Bundle Monster - I did manage to (mostly) fit it on my somewhat short middle finger, but for longer nails this wouldn't work so well as a full image. Additionally, these are not backed like Konad or the second gen BM plates, so they are a bit scratchy, although this has never really bothered me much. Despite the smaller size and lack of backing, the actual images stamped very well - I was pleased with how the polish settled into the design, how the design picked up, and they cleaned nicely as well. Overall the plates aren't as nice as Konad, but for the price they are still a great alternative. I was so excited to see the scraper was plastic, since I would love a spare. I am not a fan of metal scrapers, as they scratched up my plates when I used to use one. However, this scraper did not work well at all. It left streaks of polish that were so thick they transferred to the stamper and to the nail - not good. I tried several different times with different pressures/angles, but no such luck. Here is a picture of what an image looked like after scraping with the Fingrs Flirt scraper. 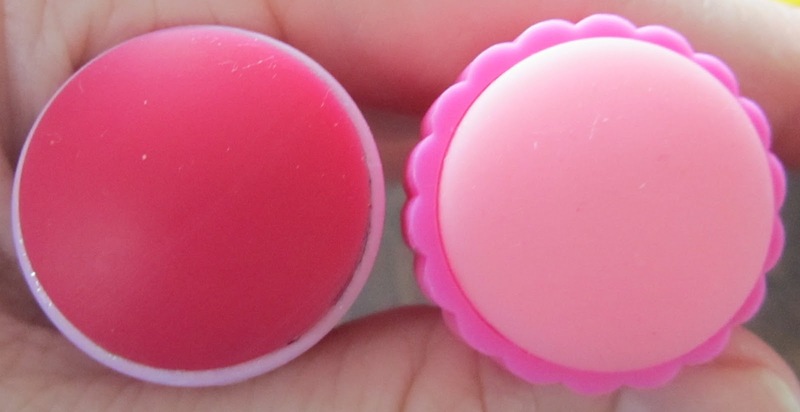 The stamper was the same size as a normal stamper, or as the large end of a Konad double-sided stamper. The rubber picked up the image and transferred well. 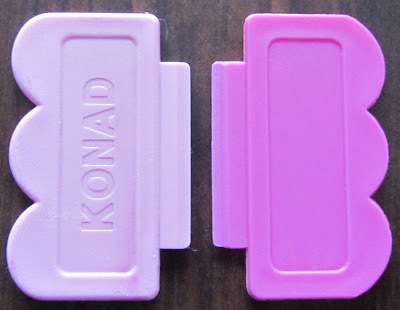 It has a super short little handle though, so I will still be using my Konad double-ended stamper. 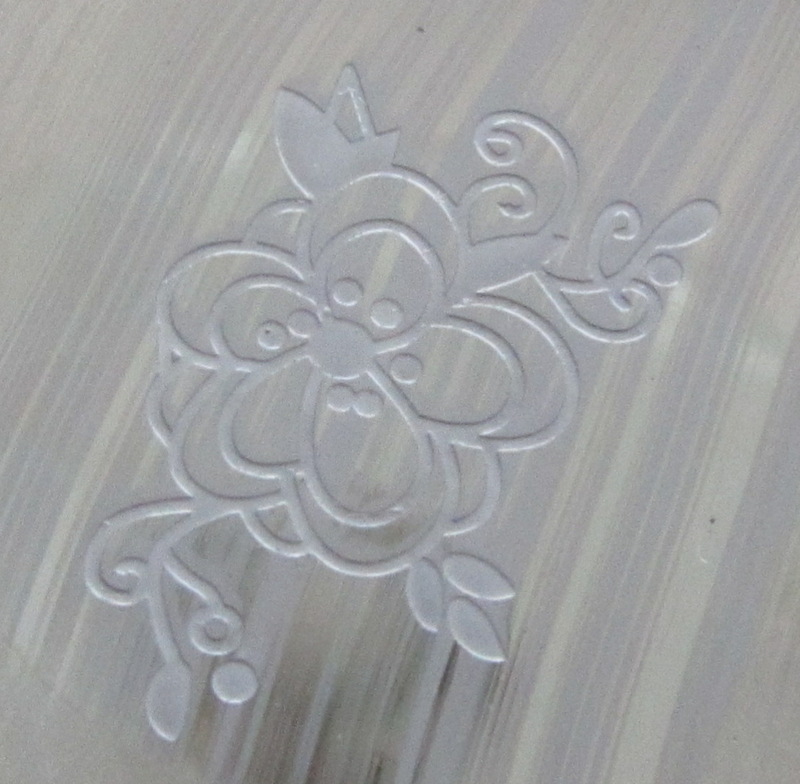 As you can see, the polish stamped fine but maybe is just a tab bit more transparent than some other white stamping polishes. While the tools in the kit (scraper/stamper/polish) are not my favorite ever, I do really like the plates. They have a lot of cute images, although some are of course very similar to Konad images. If you have been thinking about trying stamping but haven't yet invested in Konad or other systems, it is a cheaper alternative and easier to find if it is stocked in your local WalMart/other nearby stores. 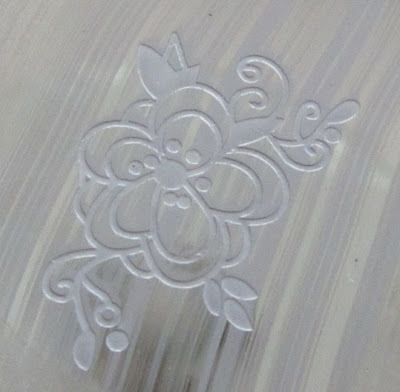 If you already have stamping equipment, the plates are worth having in your collection for the price. I won't be using their stamper or scraper but I am sure the plates will see plenty of use from me over time! I was wondering about these plates-- thanks for the review! Thanks for posting this review, I was wondering too. I notice that plate B65 is a dupe for Konad m51. 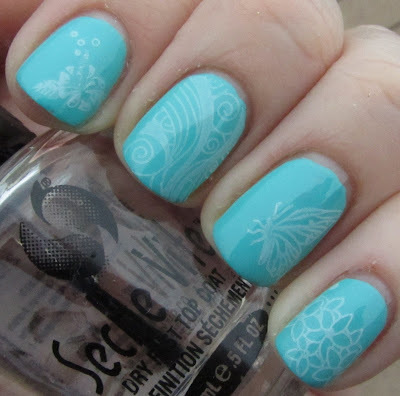 Interesting..
Lovely stamping kit, but the white stamping polish looks bit too transparent. Deborah Lippamnn - Sweet Dreams! That hits the Sweet Spot! Busy as a Bumble Bee! Hot Off The Press - Zoya Summer 2012 Collections!